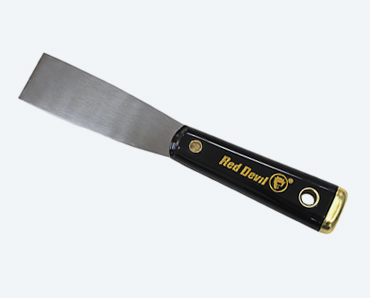 The Red Devil® Putty Chisel has a 32mm heavy-duty steel blade with a precision beveled chisel edge for removing old putty. 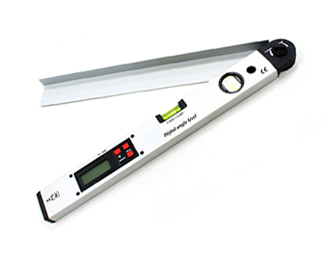 The blade extends through the black nylon solvent-resistant handle and is riveted on for strength. 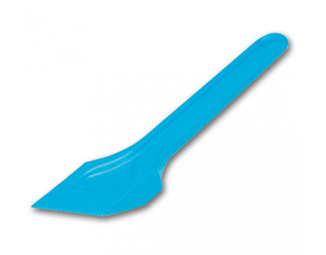 The brass-plated, solid steel nail setting head can be used for setting drywall nails and other hammering jobs.